Essential T-back is a versatile everyday T-back for dedicated athletes. It’s made out of 100% cotton and have a classic T-back cut and a rounded bottom. 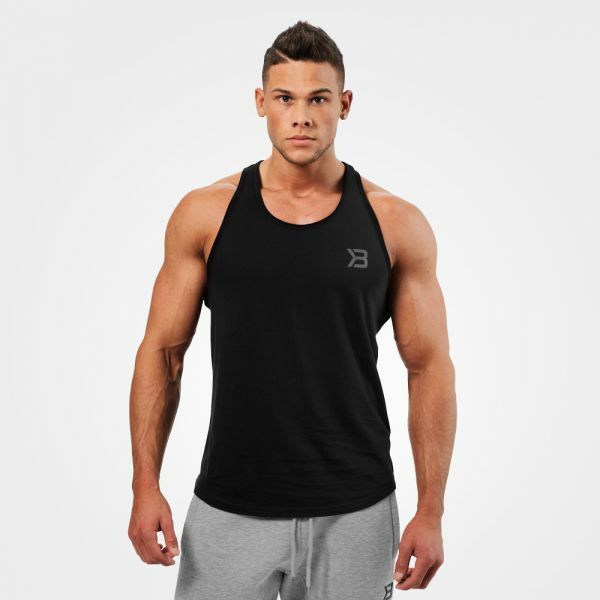 It features contrast colored bindings around the neck and armholes, and have a fit that makes it perfect for days at the beach as well as for the gym. Weiterführende Links zu "Better Bodies - Essential T-Back, black"
Kundenbewertungen für "Better Bodies - Essential T-Back, black"